Solar Panel Manufacturers are present in most parts of the world with Korea,China,Taiwan,USA,Japan and Germany dominating.Solar Panels are of mainly 2 type – crystalline and thin film.Most of the solar panels produced today are of the crystalline type and are mostly used in residential rooftops.Thin film panels are mostly used in large ground solar power plants.Thin film solar panels are of lower efficiency and are lower priced as well.However falling costs of crystalline solar panels has led to their increasing dominance. Germany till a couple of years was the home of the biggest solar panel manufacturers in the world.This was driven mainly by the German Renewable Energy Law (EEG) which is the most successful renewable energy subsidy in the world.The German Solar Market has become the biggest in the world for the last 2-3 years and an estimated 25 GW of solar panels would have been installed in Germany.Capitalizing on a large domestic market a number of solar companies like Q-Cells,Solarworld, Solon and others became the biggest in the world. Solarworld is the Biggest German producer of solar panels,the company is one of the few to still have operations in Europe and USA.Solarworld producers its own wafers,cells and modules making it one of the few vertically integrated companies in Europe.This ensures higher quality control and lower costs.The company has been battered by low cost competition from China and has recently led efforts to bring anti-dumping against Chinese imports to USA.Solarworld is strongly expanding in USA as growth slows down in Germany.Solarworld is also entering the polysilicon sector through a JV with Qatar.Only Western company not to have a major factory in Asia.Solarworld recently said that the Chinese are making “war” on the Europeans through massive subsidies being given to their domestic companies like Suntech and GCL-Poly.The company has already shut down its solar panel manufacturing in California consolidating its operations in Oregon. Solarworld is mainly targeting the utility and big commercial market recently winning a 11.6 MW order from LADWP.The company has a big manufacturing facility in Oregon and has aggressive expansion plans in the US as its domestic German market slows down.Solarworld currenty is the biggest solar panel manufacturer in the USA as the other big US companies like First Solar and Sunpower have the majority of their factories outside USA. Solarworld Solar Modules known by its brandname SunModules have a good reputation in the solar industry for their quality and workmanship.All solar panels are made in Europe and Solarworld panels have generally come out on top during testing of different solar panel brands by independent testers.Solarworld sells both polycrystalline and monocrystalline solar panels in the 220-255 Watts range.Read more about different types of solar panels .Solarworld sells its solar panels in 2 different types of frames 2 and 2.5. SolarWorld offers a 25 year performance warranty which is linearhich means the actual power of a new module cannot deviate from the specified rated power by more than 3% during the first year; and afterward, the power will not decrease by more than 0.7 percent of the rated power per year. It also gives a 10-yearproduct workmanship warranty.SolarWorld Solar Panel Warranties are in general better than that given by other solar panels which have non linear warranties and a 5 year product warranty. 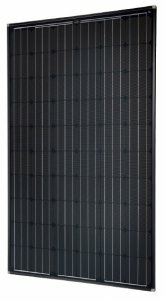 Solarworld Panel Prices are between $2-2.5/watt at the retail level which is on par with other European and Japanese solar panels brands.This is at a premium over the Chinese solar panel brands which sell at lower prices and can be bought at $1.5/watt .Solarworld’s quality and its emphasis on superior performance makes it deserve a slight premium though you have to decide on the cost benefit analysis yourself. 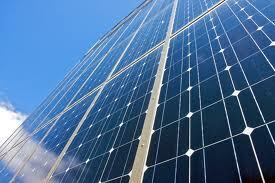 Solar Panels come in all sorts of sizes,colours and power.Solar Panels of 20-40 Watts are typically used for applications like a Solar Lamp,Lantern and products using small amounts of power.For Putting Solar Panels on the Roof for Generation of Electricity,sizes vary from 150 Watts to 300 Watts. There are also 2 different types of Crystalline Silicon Panels – a) Monocrystalline b) Multicrystalline Panels.In general Monocrystalline Panels give higher amounts of power and cost more.Solar Panels generally come in blue color though black color can also be found. Thin Film Panels are generally used for Building Integrated Photovoltaic (BIPV) applications where the Panels are integrated as a part of the Building Structure.This is in not prevalent in India as of now but will become quite pervasive in the future. Solar Panel Efficiency can be as low as 7% for amorphous silicon technology to as high as 18% for mono-crystalline silicon technology.Note some of the solar panels used in spacecraft have cells which have conversion factors ranging as high as 40% but those are niche applications.Solar Panels made by First Solar using the Cadmium Tellurium Technology are in the range of 11-12% while the CIGs technology which is being used to make solar panels by a number of companies like Miasole,Solyndra,TSMC and other have the range between 10-13% currently.Note Solar Panel Efficiencies are constantly increasing for all technologies each year.